I feel immensely better about how my brain functions from 2016. Having a slew of autoimmune diseases and suffering from a severe unknown Vitamin D deficiency, I struggled a lot with brain fog. The Vit D deficiency was the worst as it would cause bouts of mania and paranoia ultimately culminating in what was the 2013-2014 catastrophe. Then there was the undiagnosed severe clinical depression. Fortunately, I've wrangled that beast and, while I still struggle from time to time, I've got it pretty much under control. It was to the point this year that I actually almost felt like I didn't need any goals in this section. But that's not how I roll. 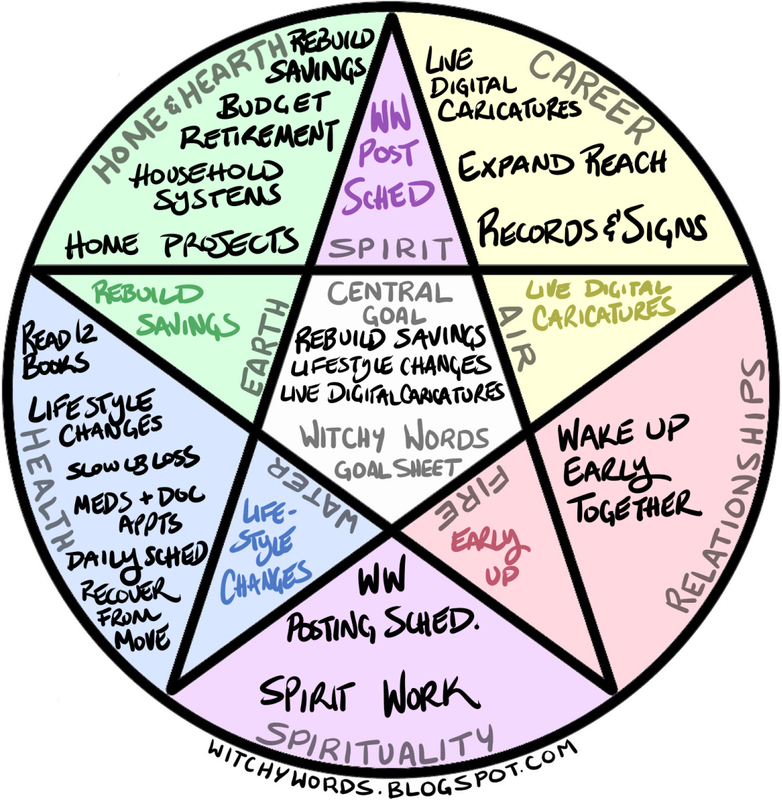 And here's the pentacle chart. This year's knowledge goals are going to sound pretty familiar from previous years. I'm starting the year with Altars by Linn because I live in a house devoid of altars at the moment. I mean, I have my four corners in the ritual room and the main altar, but I need more. 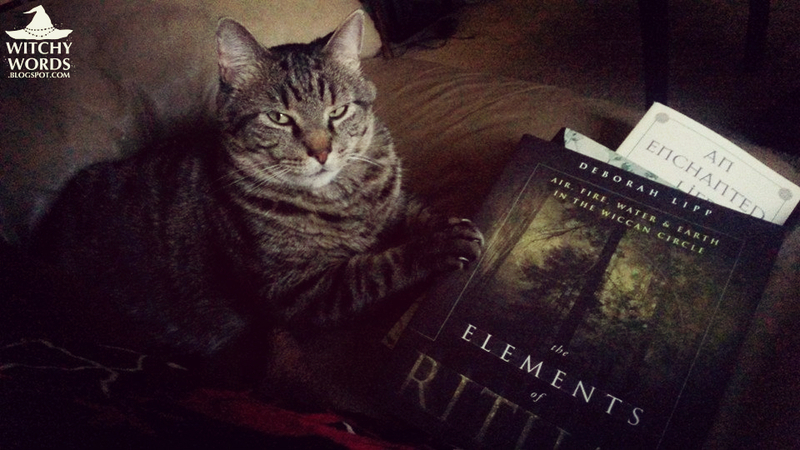 So reading a good book on the topic would be helpful. Then I'm going to dive right in to spiritwork and necromancy with short breaks for working on my business. A lot of this corresponds with things I have to do this year in other sections of my life. I'm reading Tyson's Small Business Taxes during tax season and The Referral Engine during an important event. Everything else applies to spiritwork and necromancy, which I strongly believe is the next step in my craft. As I mentioned in health, I think getting on a daily schedule is going to help me in many aspects of my life. Not only would it improve my health but having a daily schedule could increase my functionality and knowledge. However, I'm going to tackle my daily schedule in the next section instead and link to it here when I'm done. What are your knowledge goals for 2017? 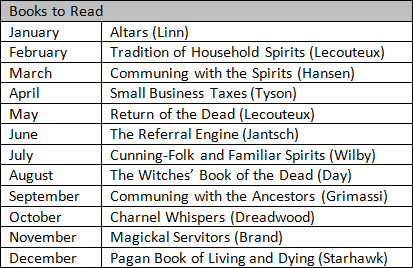 Cunning-Folk and Familiar Spirits is on my reading list for this year as well. I need to look up Tradition of Household Spirits. My mother's side of the family is Swedish so naturally I grew up hearing about house gnomes aka the Tomtee. I wonderful if they will be mentioned in such a book.